Pete Healey learned how to shoe from his uncle Bill Wallace, ranch foreman for Vail and Vickers on Santa Rosa Island. In 1979 at age 17 Pete went to work cowboying on the Island full time. The next nine years were spent on the Island and a mainland ranch. During this time Pete spent two years studying Animal Science at Cal Poly in San Luis Obispo where he rode colts, shod horses and day worked. 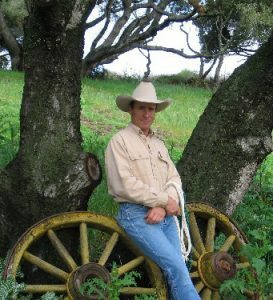 Pete started his shoeing in 1988 in Santa Barbara. Pete and his wife Karen have lived in the Santa Ynez Valley with their son, Charlie.